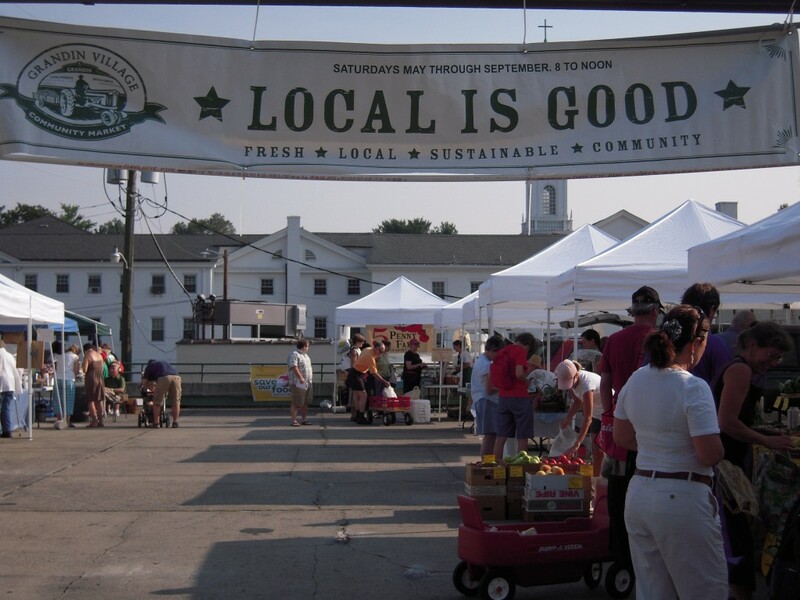 Join us as we celebrate ten years of real, local food! 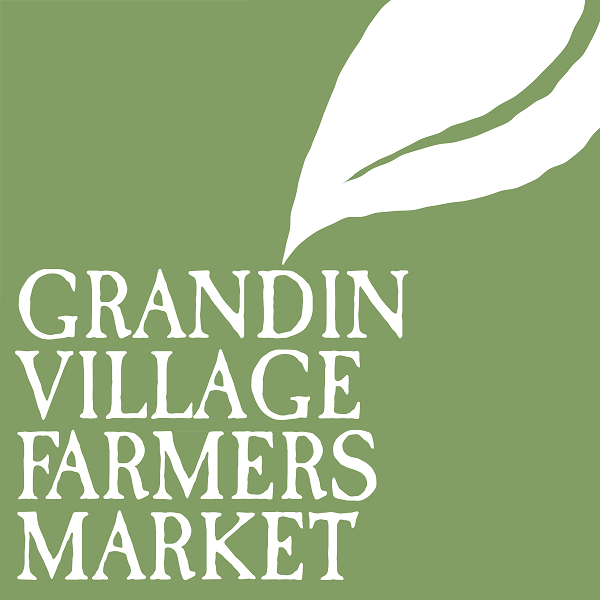 Grandin Village Farmers Market kicks off our 10th season with Earth Day celebration 4/20! We will have RIDE Solutions bike racks available for those who are looking to lower their carbon footprint. You can also join in a social ride with Downshift – Hand Crafted Bikes & Brews that will bike to market to celebrate with us! From 9am-11am we will have Monica Vilhauer and Erin Hunter playing their crowd-pleasin’ tunes. Are you throwing food scraps in the garbage? 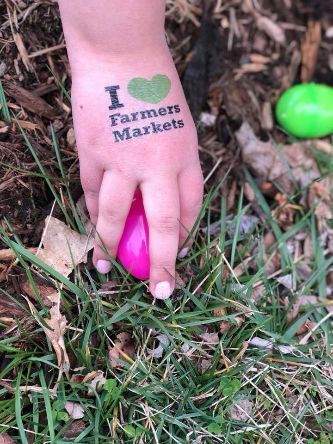 Bring them to market between 8:30-10:30 and our friend Davey Rogner will compost it for you, as well as teach you a thing or two about composting and soil health! Have you always wanted to try composting but don’t know where to start? Chat with Davey Rogner about rerouting your kitchen waste from the landfill into sweet, sweet soil. Tired of buying delicious produce, only to toss is when it spoils before you have a chance to use it? 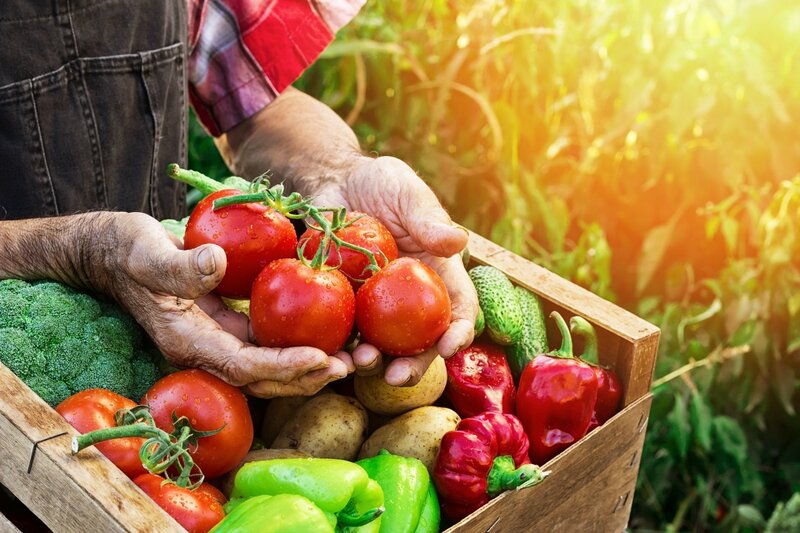 Join Kimberly Butterfield from Virginia Cooperative Extension – Roanoke for a cooking demonstration and tips on how to reduce food waste in the Kitchen. Visit Cameron D Terry with Garden Variety Harvests at Market and you will be able to purchase a smoothie blended using human pedal power! This bike is brought to you in collaboration with Little Green Hive and Bike the US for MS rider Michael Struble. Join Treehouse Collaborative at Market to learn about our local art community and do some art of your own! LEAP for Local Food totes will be available for purchase to decorate as you please using various vegetable stamps and fabric paint. Great for kids and parents alike! LET THE MARKET SEASON BEGIN! Last Call for Farm Share Sign-Ups! Visit our website to learn more and to register. Please contact the Farm Share coordinator with any questions! FarmShare@LEAPforLocalFood.org or 540-492-5311. 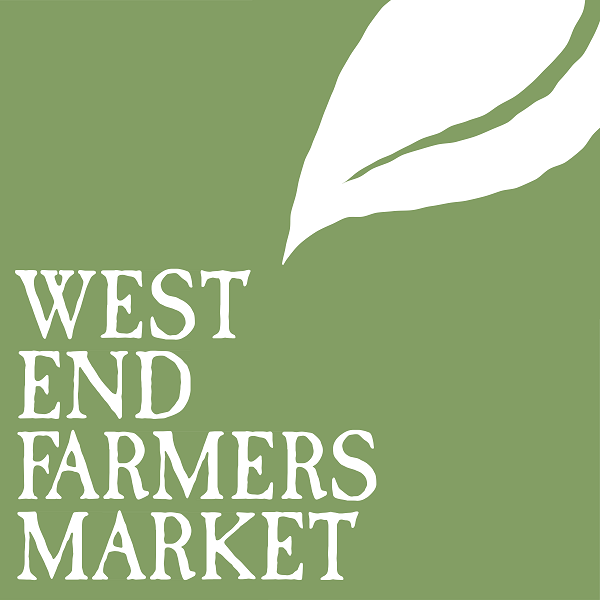 The West End is bustling with activity, new vendors, and fantastic, fresh, local food this time of year. Join us every Tuesday from 3 to 6pm for a mid-week re-stock on baked goods, salsa, artisan crafts, home-made dog treats, granola, plant starts, and of course lots of delicious produce grown by farmers you know and trust. As I write this, last season’s Mobile Market manager and eminently-talented musician Davey Rogner is getting set up to play some live originals and covers – come sing along, or just tap your feet as you shop. And on April 16, bring the kids for an Easter Egg Hunt! We’ll have lots of fun activities and treats for the little ones, and fresh local produce for the grown-ups! Join us as we celebrate this season of rebirth! West End Farmers Market shoppers will likely be familiar with Chris Graham and Marlon Major’s signature product – anyone who has tasted their salsa can attest, it’s the real deal! The two veterans, friends, and business partners produce and package California-style salsa at the LEAP Kitchen, and have been scaling up lately to meet the surging demand. 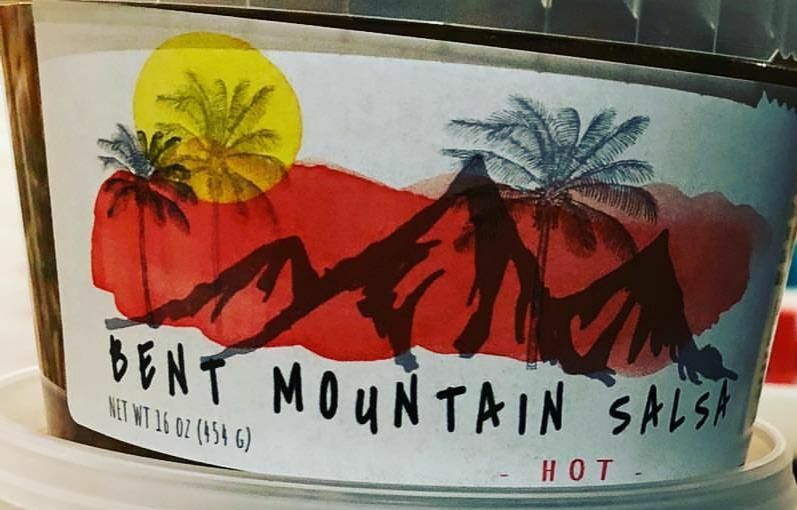 Bent Mountain Salsa started small and built their brand and customer base through direct sales, including at the farmers market, and have expanded to more commercial-scale production for wholesale clients (check out their Facebook page to see their sweet new 6-gallon blender and bottling machine! ), including El Jefe Taqueria in Salem, Bent Mountain Bistro, and fellow LEAP Kitchen member business Bella Events Catering! If you see them around, support this veteran-owned, local business – you’ll be glad you did! Come stock up on early-season produce, starts for your garden, baked goods, prepared foods, and oh-so-much more on Saturday, 4/20, from 8 am to 12 noon! 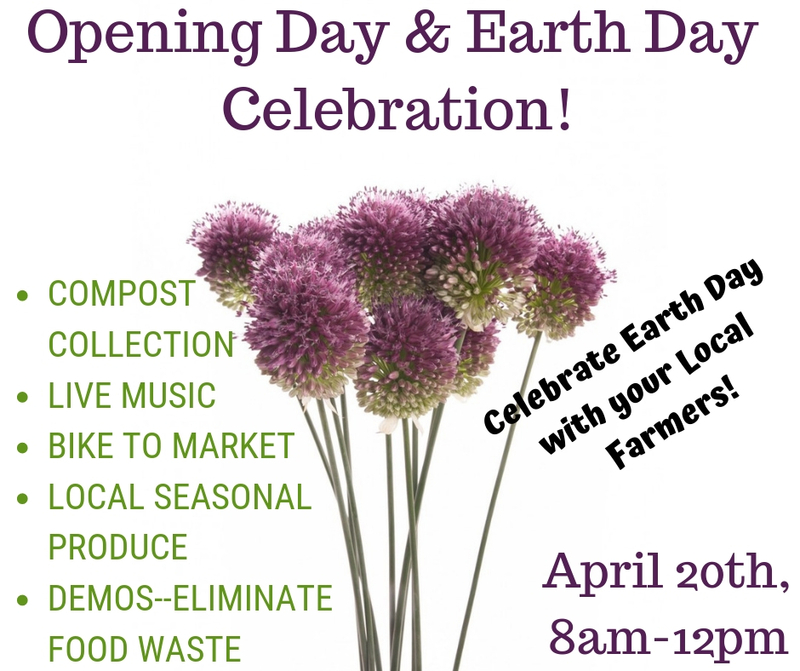 That day is also Roanoke’s Earth Day celebration, also right here in Grandin Village – see above for a list of all the fun activities we’ll have at market! This time of year it seems there are new fresh, delicious options offered up each week – don’t miss out on the best of the early-season bounty! We’ll be around back of the Freedom First branch at 1210 Patterson Ave SW every Tuesday, 3-6pm, with plenty of delicious local fare. 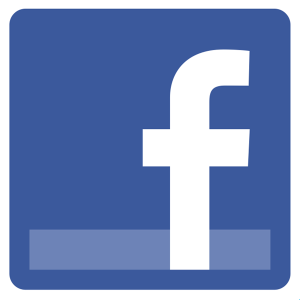 Copyright © 2019 LEAP for Local Food, All rights reserved.